For years I’ve toyed with the idea of learning French, and recently I was given a terrific reason to do it. Although I’ve studied languages before–lots of German, two years of Russian, one year of Spanish–this will be a new challenge for me. I’ve always taken the traditional route and studied language in a classroom, sometimes augmented with long- or short-term immersion. 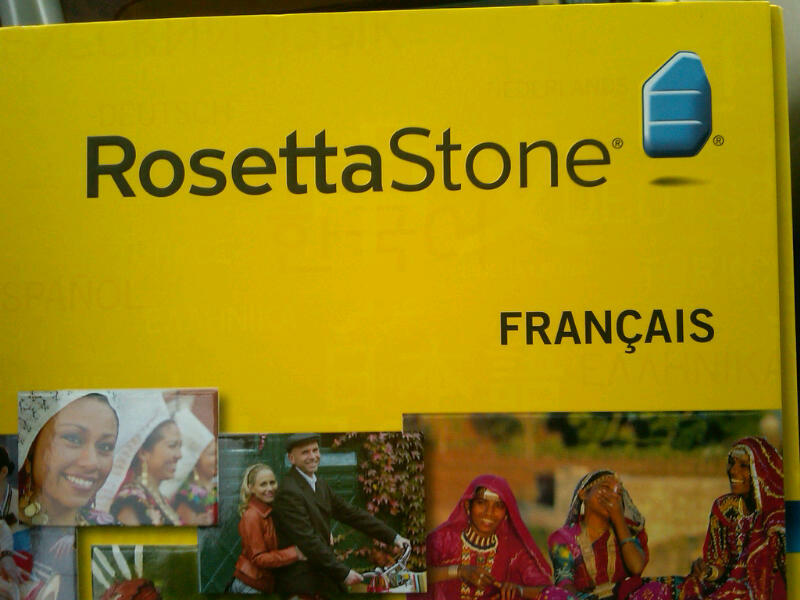 This time around, I’ve opted to try the Rosetta Stone methodology. Not only am I accountable to myself rather than to a professor or a grade book, but I’m also a whole lot older than the last time I did this. Pshaw. I’ve never completely bought into the age argument. I don’t think anyone is too old to learn; I just think people have a tendency to become less flexible over time. People often narrow their perspectives or ensconce themselves in the familiar, and they don’t always leave much room for new and different. And let me tell you, learning a language takes a lot of new and different: sounds, sentence structures, tenses, cases. Well, in the spirit of one of my recent posts, this will be a refreshing change. Honestly, I can’t wait to start. If you want to communicate effectively, you have to speak the other person’s language. Usually I mean that in a more cognitive sense as it relates to a shared language. Today though, I’m taking that to its most fundamental level. How are YOU going to improve your communication skills? If you have success with this, please let me know. Three years of trying to learn Japanese with a tutor has certainly been helpful but I have not achieved anything even remotely resembling the fluency level I want. Plus, it is so invaluable to speak even a little of the local language when traveling. People appreciate your efforts immensely AND you can find out where the bathroom is. Seriously, the first time I went to Japan I learned yes, no, please, and where is and the where is phrase twice saved me from being utterly lost in trying to navigate the public transportation system. A “where is” and a finger pointing at a map or a travel brochure can go a long way.